Grounded in the art of writing, The Well-Crafted Sentence zeroes in on the building block of great prose: the sentence. 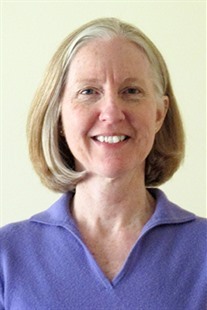 With a friendly, approachable, and elegant tone, Nora Bacon shows the benefits of attention to style and offers a range of revision strategies that give students the tools to strengthen and develop their writing. 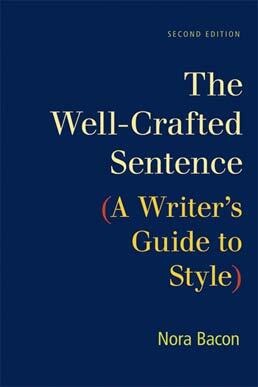 Giving students the opportunity to see successful rhetorical choices at work in writing they admire, the text includes a brief anthology of readings by ten accomplished stylists, five of them new to this edition. Examples throughout the text are drawn from these model pieces, as are integrated exercises that help students apply concepts to their own writing. Additionally, a new first chapter, Approaches to Style, introduces students to the concept of style. Affordable and brief, The Well-Crafted Sentence works as a core classroom text or as a supplement. Should an Adjective Clause Be Set Off with Punctuation? Which or That — or Not? *Lily Wong Fillmore, Loss of Family Languages: Should Educators Be Concerned?